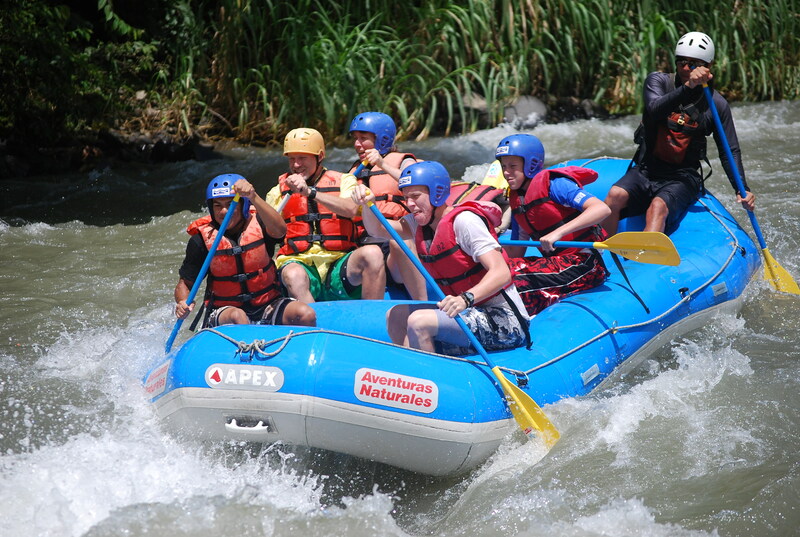 A couple of years ago our family was white water rafting down the rapids of the Pecuare River in Costa Rica. The water sprayed in our faces, a guide shouted commands from the back, and we all paddled hard while also trying to stay in the boat. The river was furious and took us where it wanted. Suddenly, at a moment when I was unsure if we could navigate another complicated maneuver, the river became calm as it drifted us through a long canyon. The tall canyon walls felt like they were there to protect us from the dangerous waters we had just came through. I breathed deeply, repositioned my feet that had become painfully wedged under the seat and released the paddle so my arms could rest. We would be disappointed if the whole river were that calm, but following a long stretch of raging rapids the stillness was a welcome change of pace. Stillness–it’s where tending to the soul happens. It’s where we tune out the noise around us and pay attention to what’s happening on the inside. Sometimes life is sweet enough to guide us into a season of slow drifting where we can be still enough for rest, renewal, listening and paying attention to our Maker. But usually, times of stillness are only going to happen if we seek them. Otherwise, we just keep paddling frantically. God knows we need times of stillness. Even white water rafters know that amidst the fast currents, there are times that the crew gets tired and needs to pull over in an eddy for rest before the next turbulent curve of the river. Why are we so reluctant to do the same? It is my desire that while I enjoy the rapids of life I will also find the still eddies in my routine where I can tend to my soul. I don’t want my soul to be a casualty because I didn’t pull out of the fast currents often enough for renewal. I want to turn down the noises around me and listen to what God has to say to me. What are some ways that you have found helpful to create spaces of stillness in your rhythm of life? May you always find calm waters for stillness as you enjoy the rapids of life. Good analogy, and I like your suggestions! I find myself craving stillness. For me, a walk in nature, on land, is preferable to a neighborhood, if possible. I have found too, that larger chunks of time allow me to meditate, rejuvenate, and create. Especially in our current work situation (which is a steady “rapids” experience), I’ve noticed that Donnie and I cherish the calmness of our off-weekends. I had a book recently recommended to me called “Quiet,” by Susan Cain, and I plan to read it this weekend, during those moments of stolen stillness. I agree with you – a long walk (or sit) out in nature is so renewing! Enjoy your book this weekend. I just finished “Everything Belongs: The Gift of Contemplative Prayer” by Richard Rohr. One of the good books that you read slowly. Maybe I can check out “Quiet” next.